On 18 September 2009, a person using the online name of ‘xegnojw’ posted a four-minute video on YouTube entitled ‘Japanese Racists Hoot Down Korean Tourists in Tsushima’. It depicted members of a Japanese nationalist group harassing Korean tourists on Tsushima, a Japanese island 138 km from Fukuoka and 50km from Busan. This island has been attracting attention from Japanese nationalists because of the increasing presence of Korean tourists and Korean investment since the 2002 opening of high-speed ferry service between Busan and Tsushima. 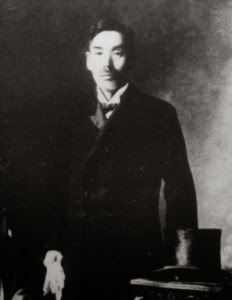 Nationalist campaigns over the island intensified when Korea’s Masan City adopted the ‘Tsushima Day’ bill in 2005, claiming that Tsushima should be a Korean territory, thereby countering Shimane prefecture’s ‘Takeshima Day’, establishing Japanese claim to Korea’s Dokdo island. The YouTube video in question captured several flag-holding Japanese men and women yelling: ‘Go home, Koreans!’ and ‘We won’t allow a Korean invasion!’ at tourists fresh off the ferry from Busan. Though not physically violent, the atmosphere was tense and disturbing.